Teachers and Researchers are the curators and gatekeepers of the knowledge-gardens. They are the guides and guardians of the beautiful flames of wisdom. Education is the key to the magic-world. Education enables us to enjoy and celebrate the wonder, beauty, and magic that surrounds us… Let’s walk into the garden of Education with an open mind…with excitement, wonder, awe, amusement, curiosity, and queries. Let the Teachers walk us through the tour…Let not an unhealthy competition ruin the spirit of adventure and joy. Education empowers us to see and hear more…to feel more, to do and contribute more….Education is NOT reserved for a special or chosen few…Education must be free and joyful…it must be an experience of enlightenment and liberation …The Education that divides us, that restricts us, binds us, enslaves us or teaches us about unnatural caste-category, …is actually ‘harmful weeds’ in the gardens of Education …We must make those type of Education obsolete. There must not be any reservations/quota in the schools of learning. Let us always allow any practice or culture that hinders the positive growth to give ways to newer and more befitting ways. 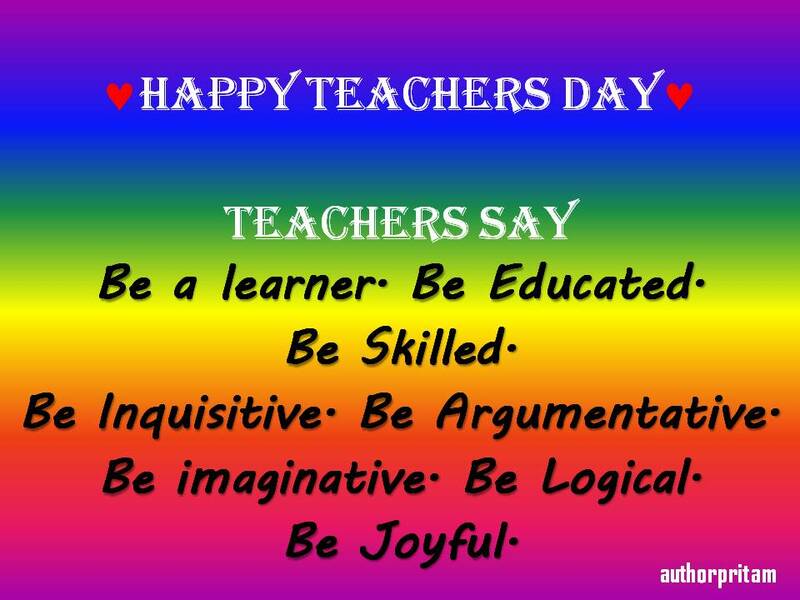 My heartfelt love, respect, and gratitude to my father-n-mother (first teachers), teachers, professors, mentors, advisors, and well-wishers at different stages of my academic life. They not only taught me syllabus-based bookish knowledge, but also many life lessons. Those great people helped me realize that life is all about recognizing your purpose and pursuing it, no matter how late or old you are. Thanks to everyone in my school, college, and university for providing me with the tools required in the grand adventure of life. Be a learner. Be Educated. Be Skilled. Be Inquisitive. Be Argumentative. Be imaginative. Be Logical. Calling All Ministries Of Education, Principals, Teachers And Families Around The World!